Dynamic graphic contructed from narrow log strips. 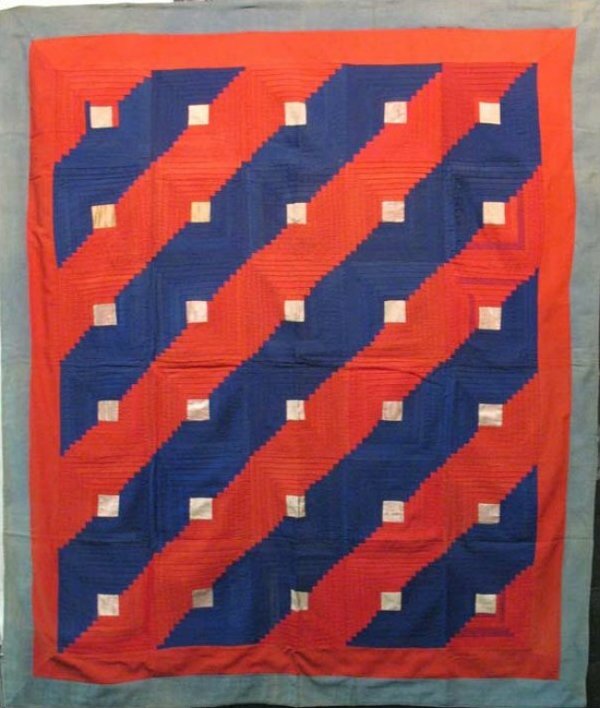 The pattern blocks are configured to combine to form diagonal bands of color. A visually compelling accent is the insertion of ivory silk as the "hearth" "traditionally these are red) at the center of each log cabin segment; they '"pop" forward from the quilt surface in an optical illusion effect. The graphics re dramatic thanks to the use of solid colors that contrast on the color wheel,| and the luminscent silk squares.